Emmet Fox was born in Ireland on July 30, 1886, was educated in England, pursued his spiritual career mostly in the United States, and died in France on August 13, 1951. His father, who died before Fox was ten, was a physician and member of Parliament. Fox attended Stamford Hill Jesuit college near London, and became an electrical engineer. However, he early discovered that he had healing power, and from the time of his late teens studied New Thought. He came to know the prominent New Thought writer Thomas Troward. Fox attended the London meeting at which the International New Thought Alliance was organized in 1914. He gave his first New Thought talk in Mortimer Hall in London in 1928. 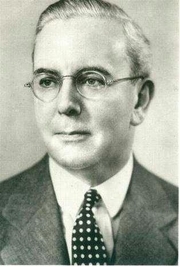 Soon he went to the United States, and in 1931 was selected to become the successor to the James Murray as the minister of New York's Church of the Healing Christ. Fox became immensely popular, and spoke to audiences in some of the largest halls in the city. He was ordained in the Divine Science branch of New Thought. While Emmet Fox lived he addressed some of the largest audiences ever gathered to hear one man's thoughts on the religious meaning of life. His books and pamphlets have been distributed to over three million people and it can be conservatively estimated that they have come into the hands of ten million. Emmet Fox is currently considered a "single author." If one or more works are by a distinct, homonymous authors, go ahead and split the author. Emmet Fox is composed of 4 names. You can examine and separate out names.